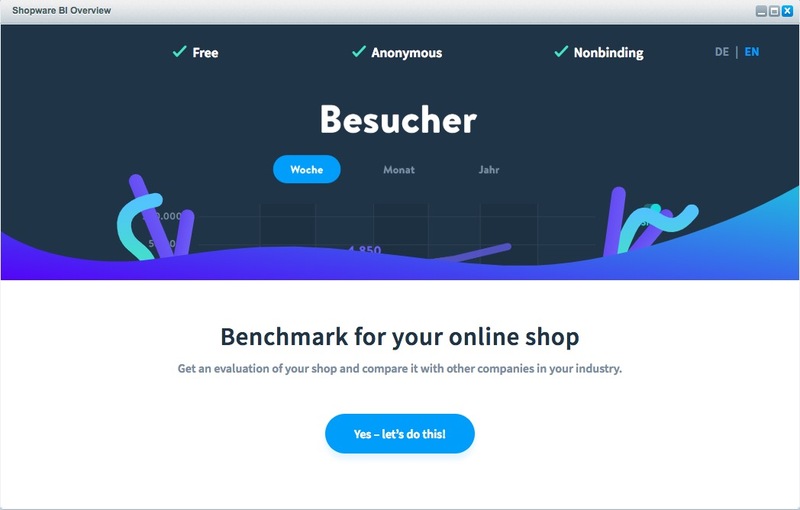 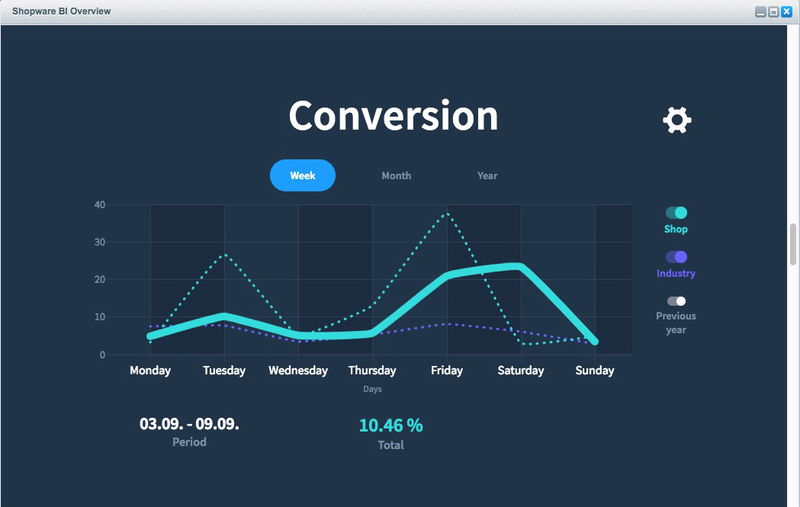 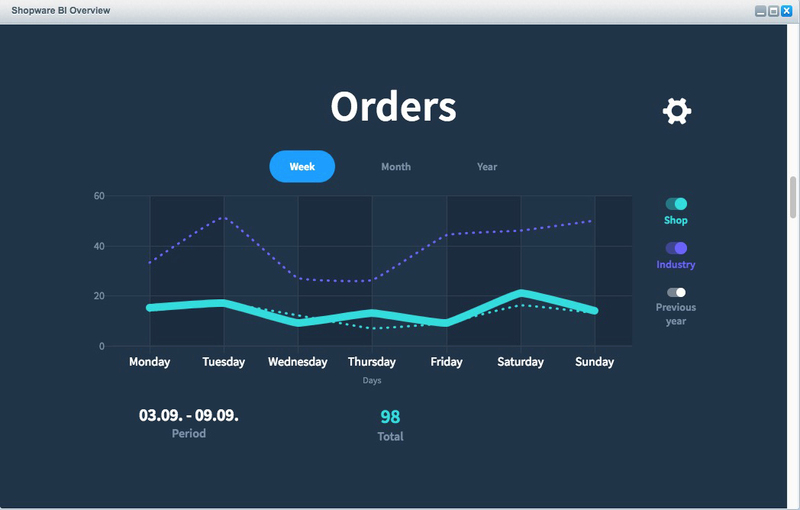 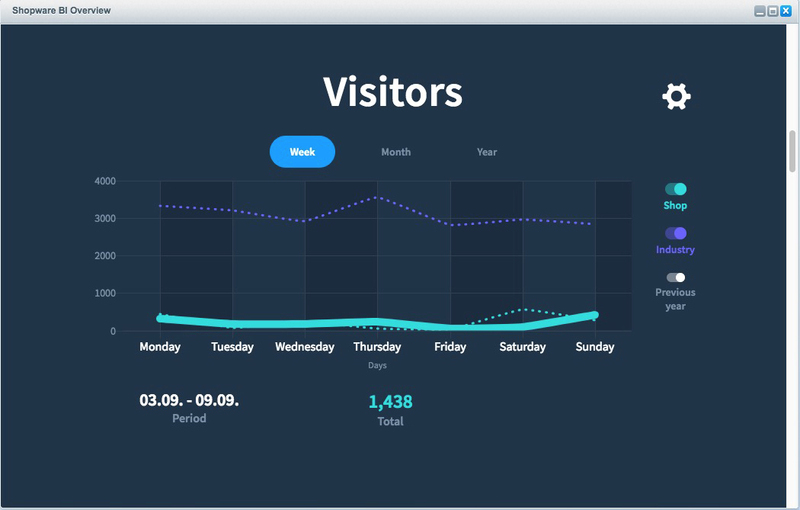 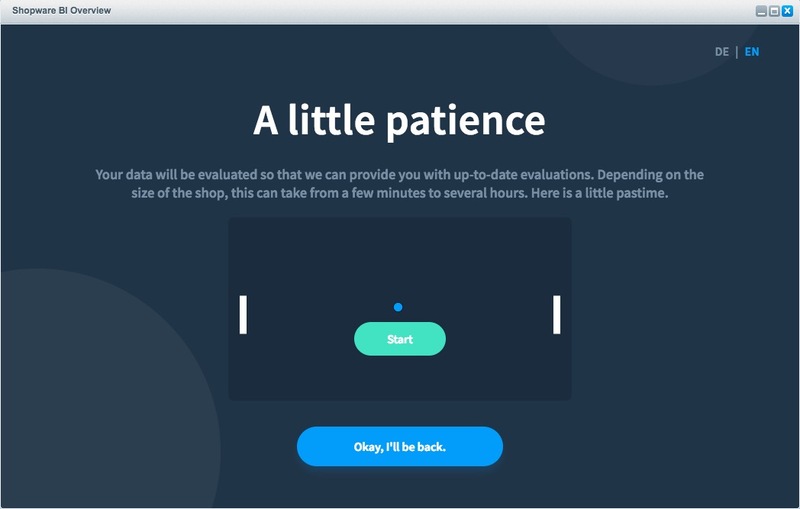 "BI" stands for Business Intelligence - with Shopware BI we would like to use this approach to show you chances and possibilities how you can tune your shop to your target group in a better way and thus increase conversion and turnover. 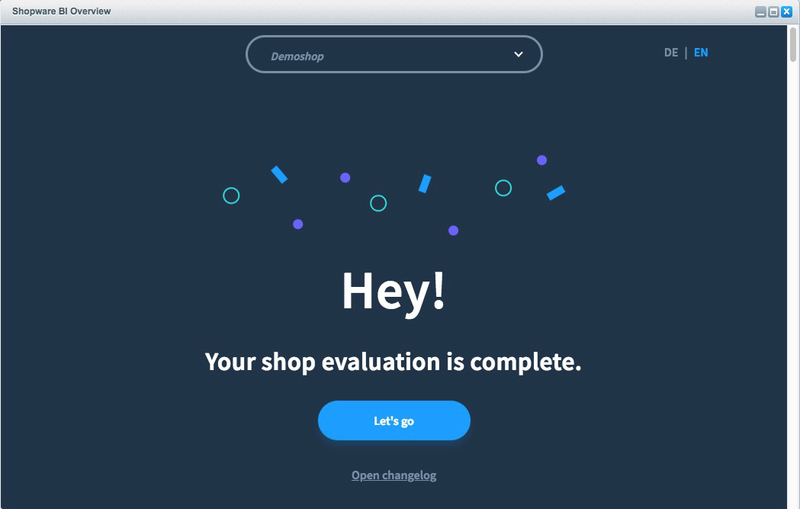 Shopware BI provides you with several data from your shop and the shops of your branch, in which you can compare your shop. 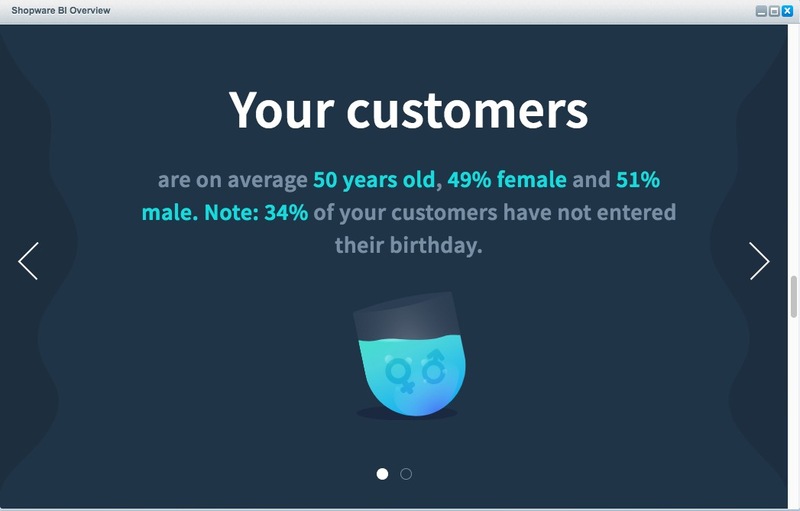 Privacy is important for us! 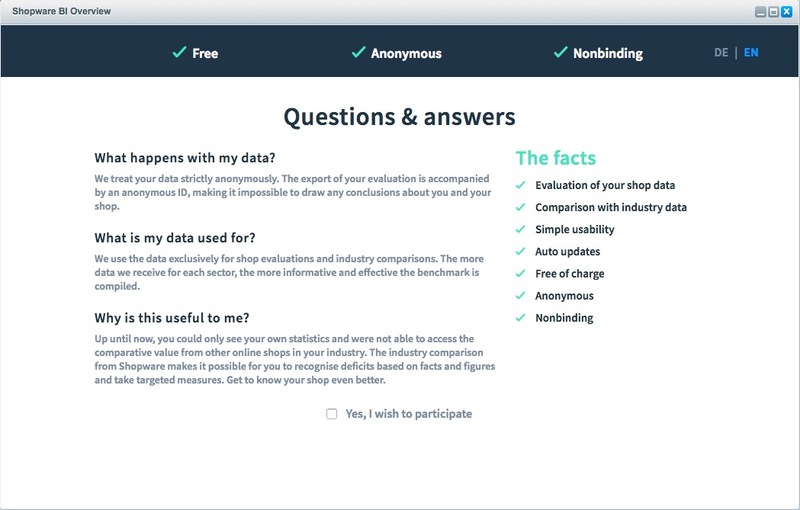 Your data will be collected and processed completely anonymously. 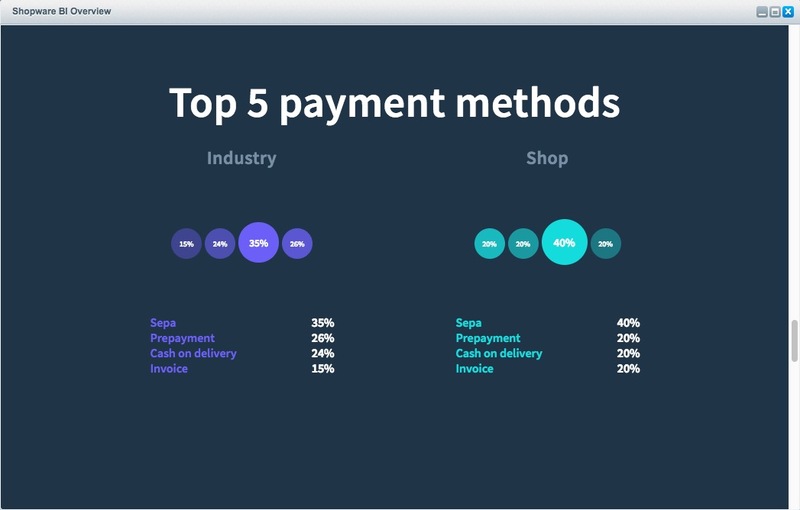 The sector data is also completely anonymous here. 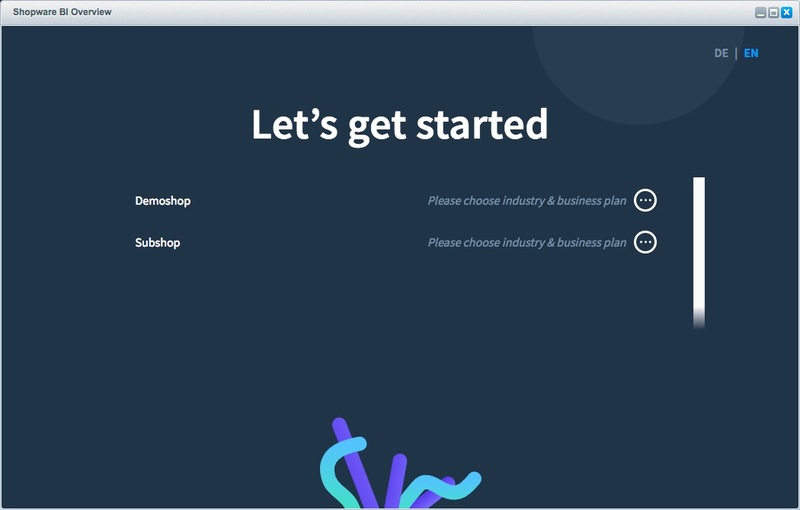 Here you can choose from the industry and your business model (B2C and B2B). 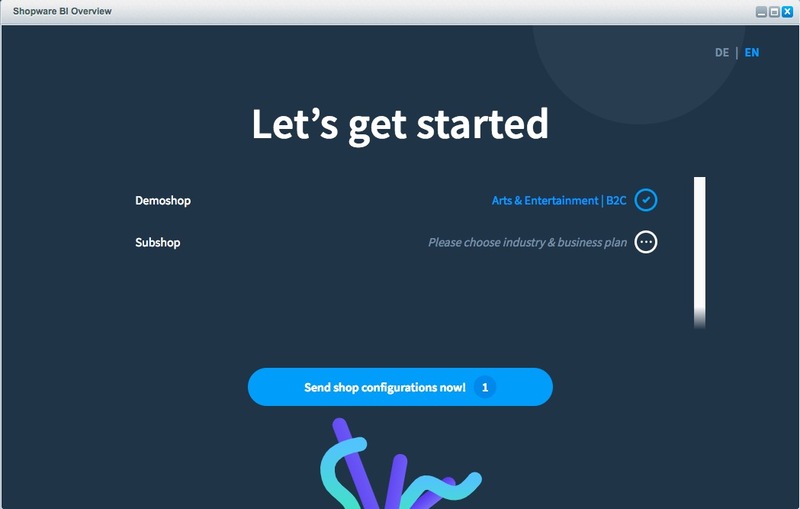 After you have configured all shops, click on Send shop selection now. 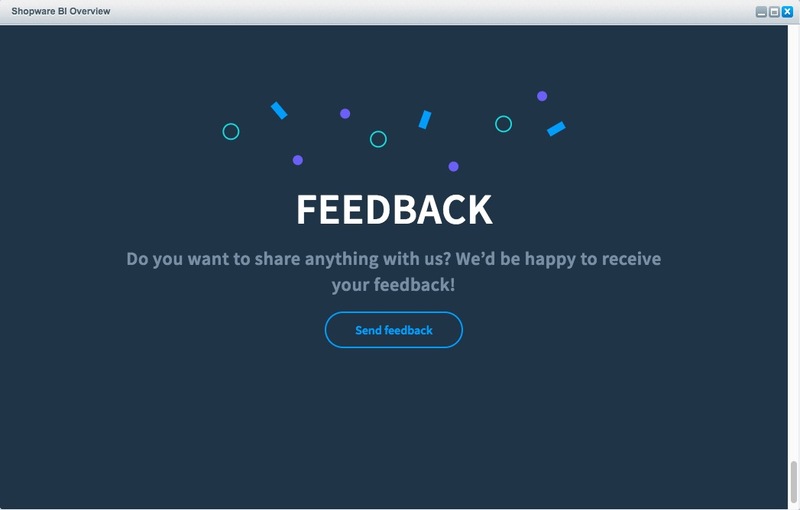 Now, you can open the module directly or close the message. 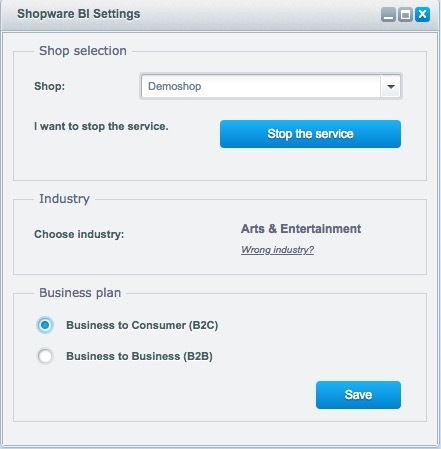 Open the module as usual via Marketing > Analyses > Shopware BI > Overview. 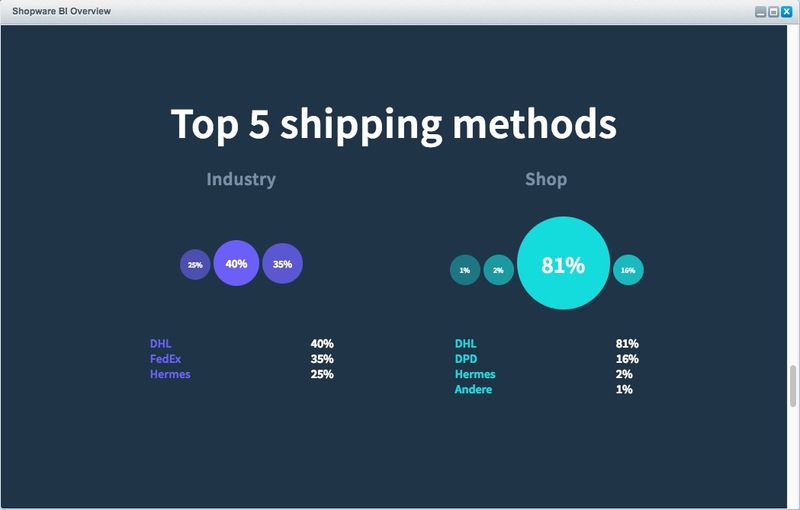 In the dropdown at the top in the middle you will find your shop selection, the statistics will then always be displayed for the respective shop. 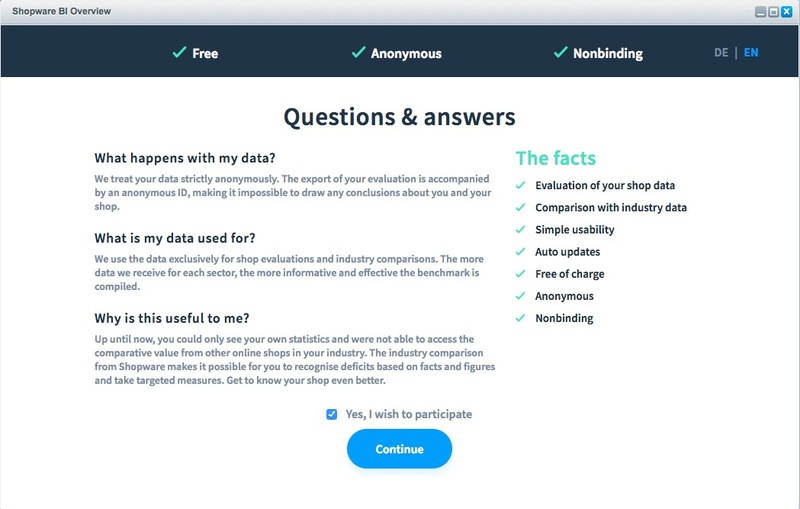 Then, you will only see your own data for the time being and cannot yet compare it with the industry. This happens especially if there is not enough industry data available to deliver a meaningful result. 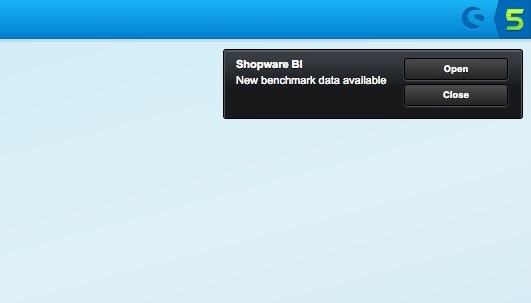 After you have configured Shopware BI for the first time, you will find the corresponding settings in the menu under 'Marketing > Analysis > Shopware BI > Settings. 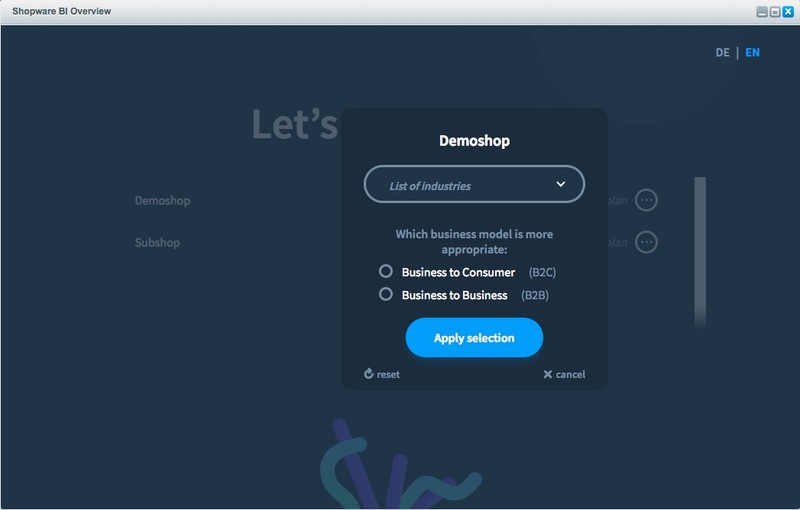 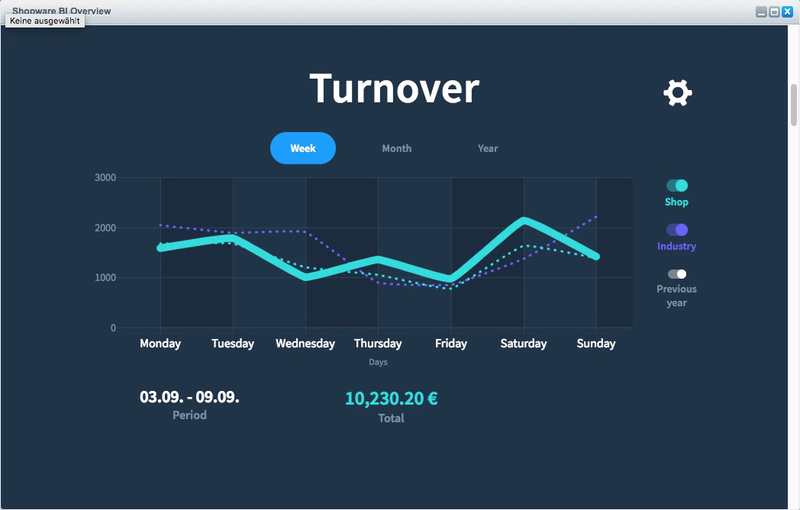 Here you can make settings for Shopware BI and, for example, stop participation, change the industry or change the business model. 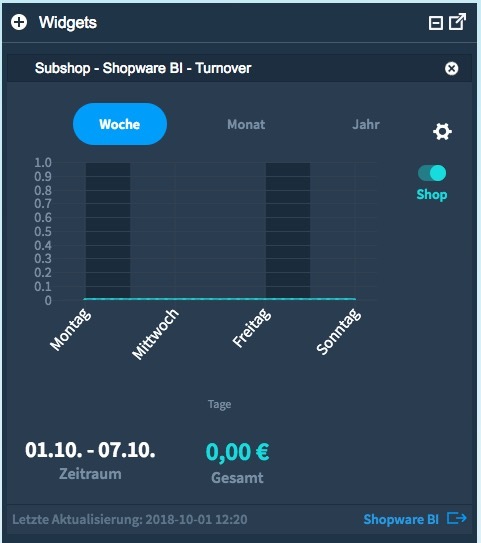 As a known issue, the widget is german at the moment. 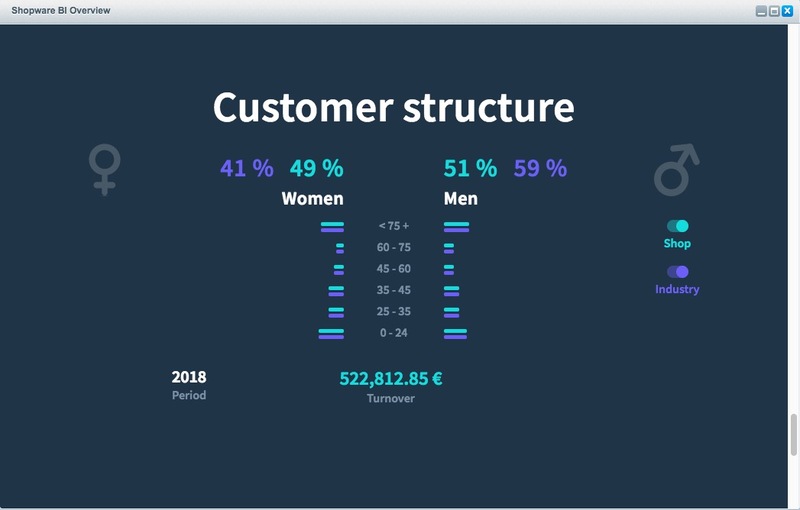 We will change this soon!